An awning window is a great way to let in fresh air - even when it's raining. Home Solutions Midwest offers a full selection of custom awning windows from Renewal by Andersen. We know that you have many options for replacement windows. When you choose to install our luxury awning windows, you can enjoy light, ventilation, and security for years to come. Looking for an estimate for window installation? Call us today at 1-844-665-0388 to schedule your free consultation and estimate at no obligation. Awning windows have hinges at the top and are designed to open fully from the bottom, giving you optimal side-to-side ventilation while they protect your home from wind and weather. You can even keep them open during a rainstorm. These popular replacement windows can be placed higher up on your walls than conventional windows, allowing you to get more light and fresh air while preserving the privacy of your home. They are also a great choice if you're looking to make extra room on your walls for art or large pieces of furniture. 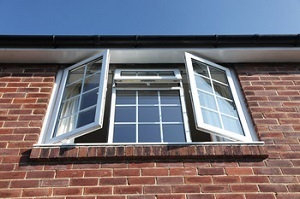 Why choose our window replacement services? Our Renewal By Andersen awning window replacements come with a full satisfaction guarantee. They are available in numerous different exterior colors. You can also choose from several interior finish options, including natural pine, maple, and oak finishes. You can even pick custom hardware to fit the exact design of your home. The heavy-duty compressible weatherstripping keeps moisture and dust out of your house. Custom sizing gives you the best fit for every room. The window replacement professionals at Home Solutions Midwest can help you find the perfect awning windows for your needs. Would you like to learn more about the unique advantages of awning windows? 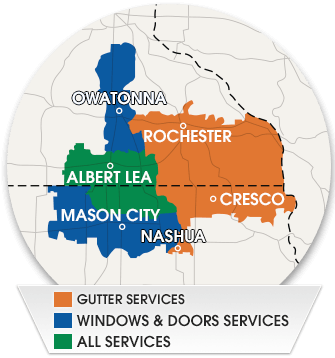 Call Home Solutions Midwest today at 1-844-665-0388 for a free estimate in Northfield, Rochester, Mason City, Winona, Owatonna, Austin, Faribault, Farmington, Northfield, Albert Lea, or the surrounding areas in Southeast MN & Northern IA.